THE SACRED WOLF SONG OVER HIM. WHILE I WOULD PERFORM THE WOLF CEREMONY. AND THE WOLF WOULD BE LIFE LONG. THAT CLINGS TO EVERY HEARTBEAT. I INHERITED FROM MY FOREFATHERS. IN MY CUPPED HANDS LAY A SPRUCE SEED.. IN MY EYES, SPARKLED LOVE. ON THE SUN'S RAYS FROM TREE TO TREE. TO HEAR THE WOLF'S REPLY. AND MY VOICE GAVE OUT. MY HEART FILLED WITH TEARS. FAITH IN THE PAST, OUR PAST. European Christmas for Native Americans actually started when the Europeans came over to America. They taught the Indian about Christianity, gift-giving , and St. Nicholas. There are actually two religious types of Indian people in existence. One of these is the Traditionalist, usually full-blooded Indians that grew up on the reservations. The second type is the Contemporary Indian that grew up in an urban area, usually of mixed blood, and brought up with Christian philosophy. Traditionalists are raised to respect the Christian Star and the birth of the first Indian Spiritual Leader. He was a Star Person and Avatar. His name was Jesus. He was a Hebrew, a Red Man. He received his education from the wilderness. John the Baptist, Moses, and other excellent teachers that came before Jesus provided an educational foundation with the Holistic Method. Everyday is our Christmas. Every meal is our Christmas. At every meal we take a little portion of the food we are eating, and we offer it to the spirit world on behalf of the four legged, and the winged, and the two legged. We pray--not the way most Christians pray-- but we thank the Grandfathers, the Spirit, and the Guardian Angel. The Indian Culture is actually grounded in the traditions of a Roving Angel. The life-ways of Roving Angels are actually the way Indian People live. They hold out their hands and help the sick and the needy. They feed and clothe the poor. We have high respect for the avatar because we believe that it is in giving that we receive. We are taught as Traditional children that we have abundance. The Creator has given us everything: the water, the air we breathe, the earth as our flesh, and our energy force: our heart. We are thankful every day. We pray early in the morning, before sunrise, the morning star, and the evening star. We pray for our relatives who are in the universe that someday they will come. We also pray that the Great Spirit's son will live again. To the Indian People Christmas is everyday and the don't believe in taking without asking. Herbs are prayed over before being gathered by asking the plant for permission to take some cuttings. An offer of tobacco is made to the plant in gratitude. We do not pull the herb out by its roots, but cut the plant even with the surface of the earth, so that another generation will be born its place. It is really important that these ways never be lost. And to this day we feed the elders, we feed the family on Christmas day, we honor Saint Nicholas. We explain to the little children that to receive a gift is to enjoy it, and when the enjoyment is gone, they are pass it on to the another child, so that they, too, can enjoy it. 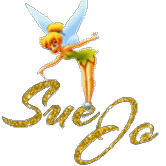 If a child gets a doll, that doll will change hands about eight times in a year, from one child to another. Everyday is Christmas in Indian Country. Daily living is centered around the spirit of giving and walking the Red Road. Walking the Red Road means making everything you do a spiritual act. If your neighbor, John Running Deer, needs a potato masher; and you have one that you are not using, you offer him yours in the spirit of giving. It doesn't matter if it is Christmas or not. If neighbors or strangers stop over to visit at your house, we offer them dinner We bring out the T-Bone steak, not the cabbage. If we don't have enough, we send someone in the family out to get some more and mention nothing of the inconvenience to our guests. The more one gives, the more spiritual we become. The Christ Consciousness, the same spirit of giving that is present at Christmas, is present everyday in Indian Country. Did you know that Native Americans have contributed many things to the American way of life today? Things that you use or do now, many Native Americans have been using and doing for many, many years. 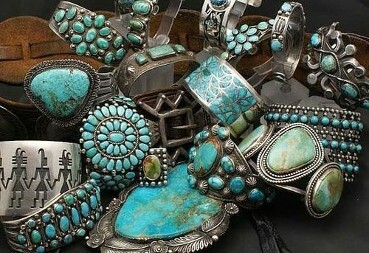 known for their beautiful silver and turquoise jewelry. The people of the NorthwestCoast are known for their fantastic woodcarvings. 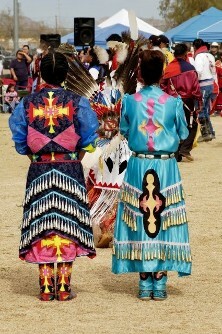 The Plains Indians are well known fortheir beautiful beadwork. 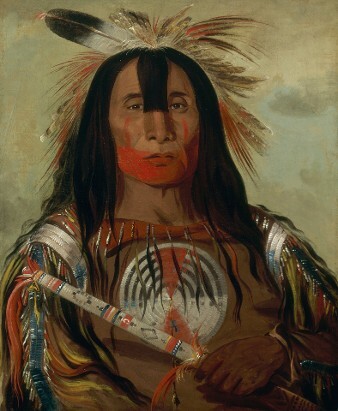 But other than art, the Native Americans have influenced many areas ofAmerican living. Some of these things were begun long before the arrival of the European settlers on North American land. NATIVE AMERICAN LIFE IS ECOLOGY? People of today have just begun to think about this. 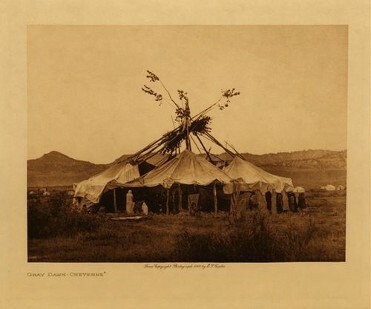 The Native Americans have always had a deep respect for the land. There was a love of every form of life. 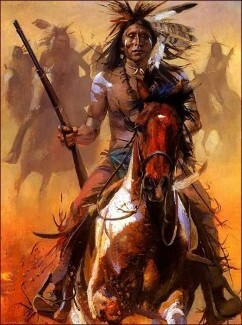 The Native Americans did not kill anything they could not use. They never killed an animal or a fish for the sport of it. Fishing and hunting were a way to survive. 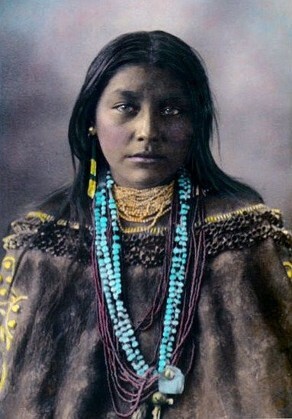 The Native Americans lived in harmony with nature and did notabuse the natural world. 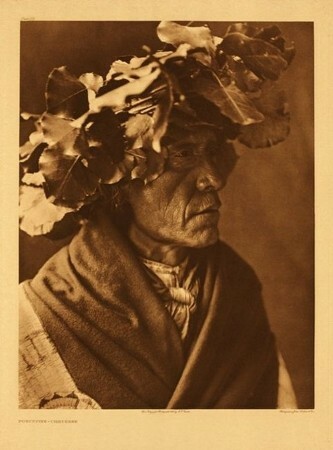 Native Americans were ecologists long before they were ever used. The Anishinaabe people do not have a word for “Conservation”, because it is an assumed way of life, it did not have to have a special word. settlers survive in the New World by sharing their farming methods with them. ADOPTED FROM THE NATIVE AMERICANS? all other powers are reserved for the states, was borrowed from the system of government used by the Iroquoian League of Nations. Milwaukee, Ottawa, Miami, Wichita, and Kalispell. Native Americas and trappers and traders. The same idea is used today for communicating with those who are deaf and unable to speak. The signs are different, but the idea is the same. WORLD WAR I, WORLD WAR II AND OTHER CAMPAIGNS? 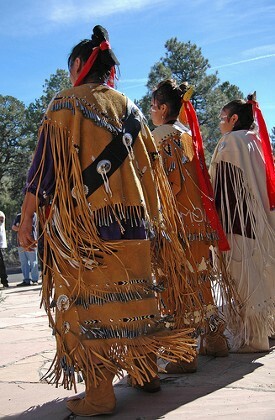 Talkers, a special group of volunteers who did top-secret work using a secret code in Navajo that could not be broken. DID YOU KNOW THAT INDIANS AS INDIVIDUALS HAVE EXCELLED IN MANY FIELDS? Native Central American Art. Love Doves Kuna Indians Mola art. 100% hand stitched using 6 different colors of fabric : Red, Blue, Orange, Yellow, Green, Black .This is a genuine Mola panel that was part of a Kuna woman blouse. It measures 14 inches X 9.5 inches and it dates from the 1980's. 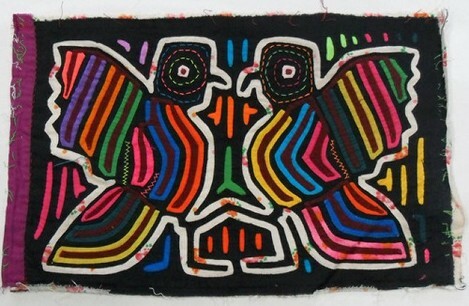 It represents a Pair of kissing love wild doves which are very common in the Kuna Yala region. Native American Wedding Traditions From Apache to Cheyenne and Hopi to Sioux, Native American wedding customs are beautiful and vary according to tribe. One custom in particular requires the bride and groom to wash their hands to cleanse away evil and previous lovers. This is one of many significant Native American wedding rituals. A common theme among American Indian tribes involves Mother Earth and the Great Spirit. This is beautifully demonstrated throughout a Native American wedding. Ceremonies can be held in chapels, historical landmarks, Indian monuments, or reservations. Pow Wow drums provide lively music for the wedding reception festivities. 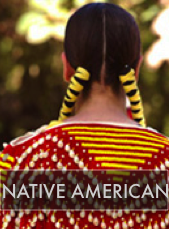 Native American culture is composed of many tribes, each with distinct traditions and customs. It is difficult to characterize any aspect of a wedding as being "Native American". Some traditions are common to many tribes, while others are unique. 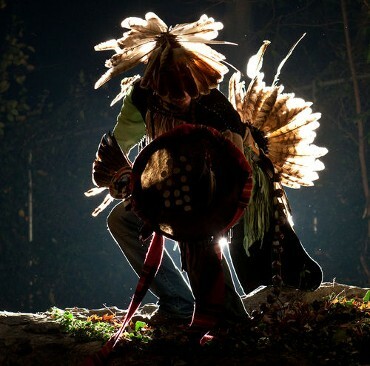 Most Native Americans believe that in the universe there exists the Great Spirit - a spiritual force that is the source of all life. The Great Spirit is not pictured as a man in the sky but it is believed to be formless and to exist throughout the universe. The sun is viewed as a manifestation of the power of the Great Spirit. 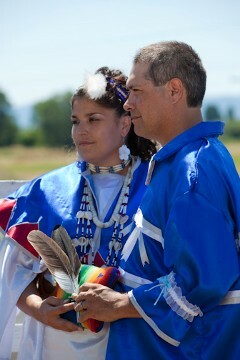 Some Native American wedding ceremonies are informal, while others are quite formal. When they were not small and informal, they were solemnized with feasts and merrymaking. Evening is the traditional time for the ceremony to occur. Water is used as a symbol of purification and cleansing. The bride and groom have a ceremonial washing of hands to wash away past evils and memories of past loves. "Native American legends and myths have existed for thousands of years and are still relevant today. Many stories are moral tales about humankind's relationship with the natural world, as well as several inspiring and poetic tales about love and the ritual of courtship. Indian poems had their roots in the songs and chants of tribal life. The Indians wrote songs and poetry for practical purposes as well as to deal with the invisible forces in their lives. They helped the people to conduct their lives honorably and assisted them through times of great emotion and need". There are many moving stories in this book about marriage, courtship and puberty rites and celebrations, including even some suggested recipes! The Wedding BasketsBasically, the baskets will contain whatever is symbolically important to you. Marriage Branch: Cedar branch with a fork, to be hung over the bed. Veterans & warriorsThere should be chairs for the elders who cannot stand. Comfort Each Other Provide a refuge and sanctuary for each other from the chill winds of the world. Your marriage is a hearth, from whence comes the peace, harmony, and warmth of soul and spirit. Caress As You Would Be Caressed Warm your loved one's body with your healing touch. Remember that as babies can die with lack of touching, so can marriages wither from lack of closeness. Be A Friend and Partner Friendship can be a peaceful island, separate and apart, in a world of turmoil and strife. Reflect upon the tranquility of the many future years you can share with a true friend, and beware of becoming battling enemies under the same roof. Be Open With Each Other Bind not yourselves in the secretness that causes suspicion and doubt. Trust and reveal yourselves to each other, even as the budding rose opens to reveal its fragrance and beauty. Listen To Each Other And hear not only words, but also the non-language of tone, mood, and expression.arn to listen to understand rather than listening to argue. Respect Each Other's Rights Remember that each is a person of flesh and blood, entitled to his or her own choices and mistakes. Each owns himself, and has the right to equality. Allow The Other to Be an Individual Seek not to create for each other a new mold that can only fit with much discomfort and pain. Accept the other as they are, as you would have yourself accepted. Give Each Other Approval Remember criticism divides, while compliments encourage confidence in the other. Hasten not to point out the other's mistakes, for each will soon discover his own. Cherish Your Union Let no one come between your togetherness, not child, not friend, nor worldly goods. Yet maintain enough separateness to allow each other his or her own uniqueness. we forever grow young together. Amen. see, hear, smell, taste, and all that we touch. Provider of all our needs. place where Grandfather Sun sleeps at night. from where fresh breezes blow. Home to the Big Red Mountain. from where the Growing Warmth comes. the Crawling Peoples, and to the Star Peoples. Teaching us the ways of the Creator and Mother Earth. I give thanks for their lighting our way in times of darkness. I get in My Life Each and Every Day. For ALL These Reasons and for LIFE Itself, I GIVE MY THANKS ! "May you always walk in Beauty." and the Earth and I will be one. could exist because there would be no will to live. could be grown and so cause the will to live to starve. life-giving rain nourishing us as she nourishes our crops. the comfort he brings without which we be animals, not men. not I, nor you, nor anyone else could have existed. Life gives life which gives unto itself a promise of new life. praise my parents loudly for they are your parents, too. 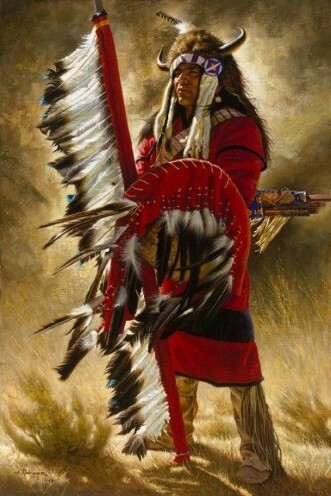 BEING CAREFUL WHEN BUYING NATIVE AMERICAN ART- LEE BOGLE IS NOT NATIVE AMERICAN, BUT THESE PAINTINGS ARE POPULAR- BE WELL AWARE WHAT IS REAL AND WHAT ISN'T. 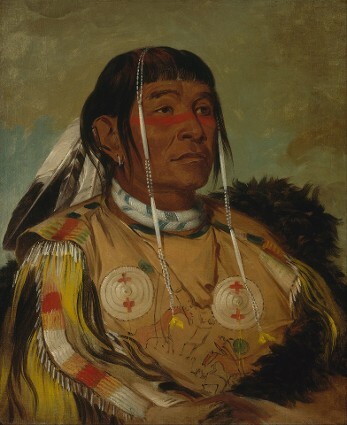 Collectors know him for his images of Native Americans, often solitary figures of women. 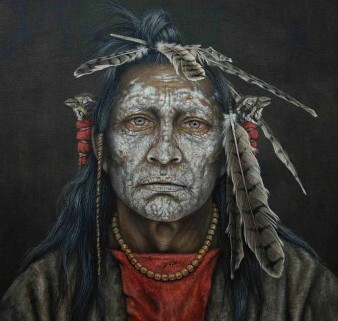 "I try to convey a spirituality in my art that the viewer must interpret for himself," Bogle says, "I want my paintings to show a peaceful contemplation and express a depth of serenity that comes only with quiet inner peace"
Since all Natives are innately spiritual and have a "quiet inner peace," right? But this by all means is not an isolated artist or isolated incident. There are hundreds of non-Native artists that make their livings off perpetuating stereotypes about Native people and preying on mainstream romanticized and idealized notions of Natives. 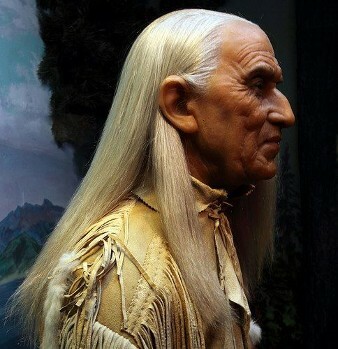 Contemporary Native peoples don't look like something out of a crappy romance novel, and images like Lee Bogle's perpetuate stereotypes and erase our current existence and diverse and real people.